Directorate of Printing and Stationery, Assam Recruitment 2017 For Paste Up Artist Post. 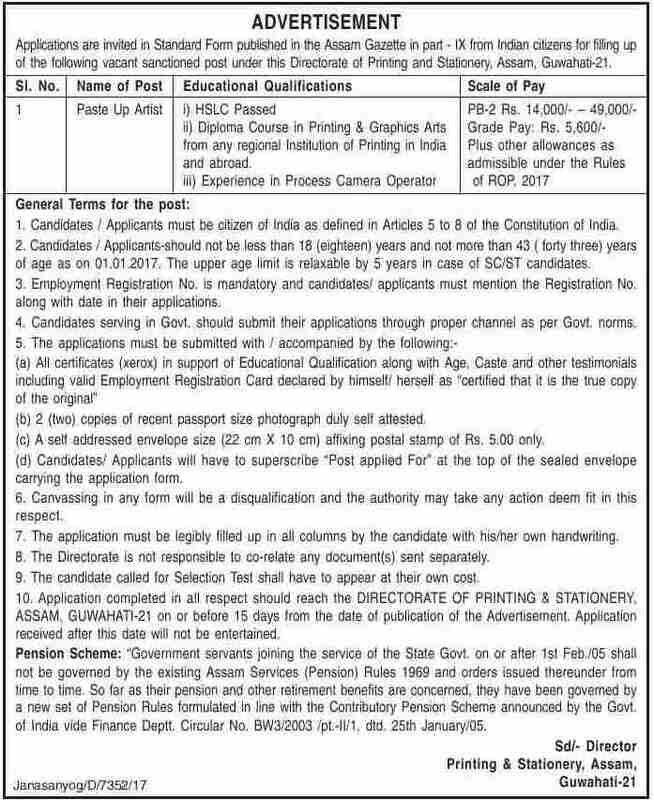 Directorate of Printing and Stationery, Assam Has Published the Recruitment Notification for Paste Up Artist Posts. Eligible Interested Candidates Can Apply Via Online Mode. Last Date for Submitting Online Application form Within 15 Days. Educational Qualification- Candidates Must Have Diploma in Printing and Graphics Arts From Recognized University/Board.